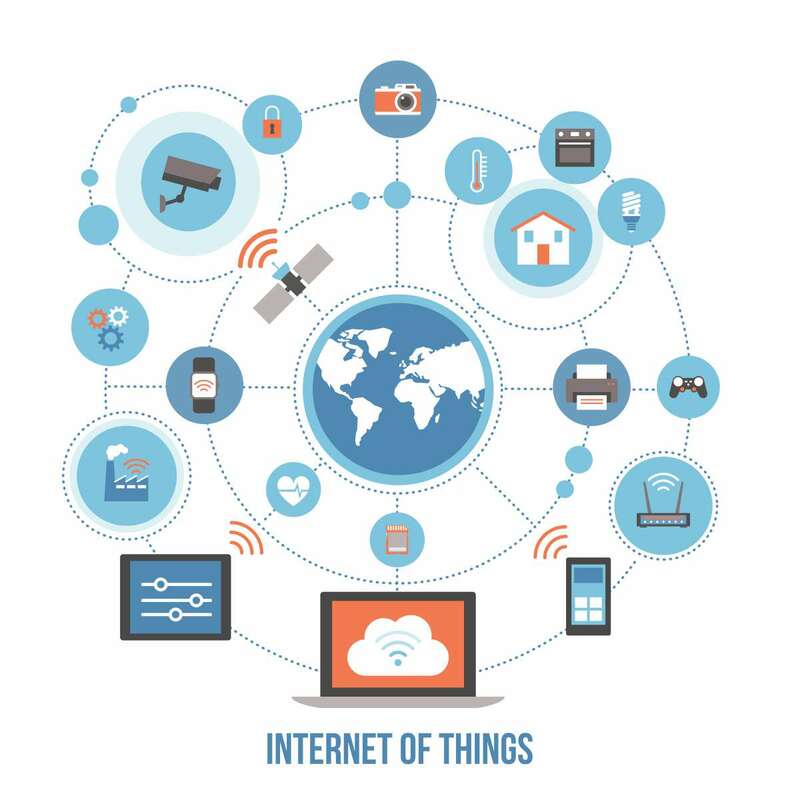 For many who live on the cutting edge of technology, the possibilities that abound with the Internet of Things (IoT) are endless fodder for all-night conversations – or all day for that matter. Don’t believe it? Just pop into any coffee house at a tech college campus, find a table with a few IT or Robotics students and bring it up. You’ll have giddy conversation flowing faster than mocha caffé lattes in no time. For the not-so-technical(you know, those who think Googling is something you probably shouldn’t do in front of the kids), the IoT is a mystery word, and probably just another fad – like the Beatles. If you fall somewhere in the middle of those extremes, relax – you’re in the majority. You’ve heard of the IoT, but maybe it’s all still a little fuzzy. What is it? How does it work? Does it affect me? Here are some basics that should shed a little light. The Internet of Things is as significant as the Industrial Revolution, the Technology Revolution and the dot-com boom – all rolled into one – and it’s here to stay. It’s that big. When did Google Become a Verb?? Remember how the Internet changed things? Computers around the world could communicate instantly, unlimited information became available, and entire economies were changed. It became possible for any business to reach well beyond its geography and expand its customer base exponentially. Grandparents could watch their grandchildren’s Little League game in real time – from thousands of miles away. Online data storage came about, and file cabinets went the way of VHS tapes. Companies were born. Billionaires were created. Facebook happened. Amazon happened. Google became a verb. And it’s still growing. All because some computers were linked together and had access to the information stored on the other computers on the network. Now that you remember how life-changing all of that was, just imagine nearly everything in your life being connected to the Internet. Electric meters that submit readings automatically. GPS tracking on commercial fleets to track shipments – both on the vehicle and the freight. Pacemakers that contact emergency services if they detect an irregular heartbeat. Your smartphone alerting you with a special offer from a business the moment you come within a certain distance. Apps that tell you about an open parking spot, because the app communicated with parking meters, which communicated with sensors in the curb. Connected traffic cams that can detect congestion and automatically re-route traffic flow. As you might have guessed, that’s just a very tiny sampling of what’s already here. According to research firm Gartner, there are now more than 8.4 billion “things” connected to the internet or some type of network. That’s more things than people, and we’re on pace to accelerate that number to over 20 billion by 2020. Manufacturing companies have been using high-tech systems like this for years. Sensors collect info and detect problems, then relay that info to Logic Controllers that take some action – adjusting the process, opening valves, turning on pumps, activating alarms, etc. It’s all about efficiency, productivity, safety & profit. The difference with the IoT in society is that it’s applied to everyday people – in their homes and in their communities. The applications are nearly endless, and many of the best ones haven’t even been thought up yet. It’s all intended to make our lives easier, and it’s not going away any time soon. What remains to be seen is how much connectivity these devices will have with each other, and how secure it will be. For every new “thing” that is connected to the internet, there’s a new risk of exposure to the bad guys, a new opportunity for hackers to steal private info. Will a new standard of security arise? If so, who will pioneer that standard? Who will protect the consumer? Will consumers have to give up some security for the sake of convenience? There are many unanswered questions, but one thing is certain – it’s a rapidly changing world, and the Internet of Things will play an ever-increasing role in our lives, like it or not.